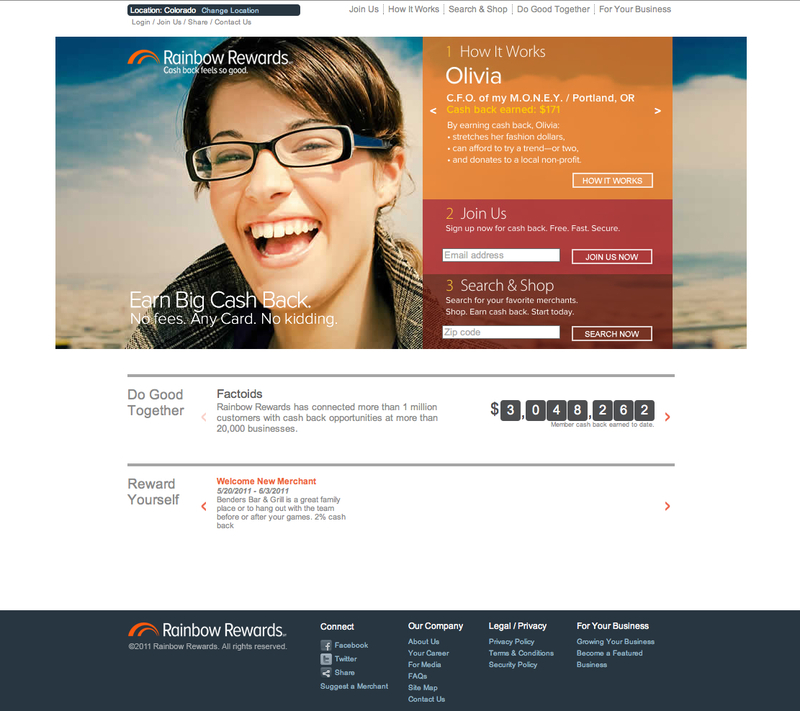 This home page was the main building block for the rebranding of Rainbow Rewards, a local company offering a free cash back program to members. I was contracted to develop brand messaging into copy across all platforms and across all audiences. Please click on the image to see it full size. An additional page sample is also available here. All rights reserved.